You only have one chance to make a first impression on the potential clients that are landing on your photography website. Are you making the right impression? If you wish you had more confidence in your website, stick around, I’m going to show you how to choose images for your website galleries in this week’s video. I’ve been right where you are (I’m still right where you are, shooting weddings full-time!) — there are many moving parts to owning your own photography business. An ever-growing to-do list, and sometimes we forget to treat our website portfolios as living, breathing organisms! Instead, we think “Yay! I have a website! It’s up!” And it often takes us years to revisit our websites to make sure our portfolio is current. It’s important to comb through our website galleries at least once a year (ideally, twice!) to ensure we’re communicating the right message to our couples. Never lose sight of this fact: your website is your first impression. You have a few seconds to hook a potential client, or they are gone! Do you have a list of words you hope your photography expresses? If you do, that’s great. If you don’t, open up your instagram feed or your favourite wedding blog post and scroll through the images, taking note of what emotions and words come to mind. Some of my words are joyful, genuine, candid, smiley, authentic, bright, colourful. Now that you have your words, go back to your galleries on your website and ask yourself 2 questions for every image you see. Do I want to recreate this image in the future? Does this image fit with the words of my brand? If you have a jumping wedding party photo on your website, but you hate the idea of having to take a jumping shot of a wedding party ever again– WHY IS IT ON YOUR WEBSITE? For any of the images on your website, if a client said while booking you, “We love this image. We want to do that on our wedding day,” would you be thrilled? If not, it’s not your client’s fault. It’s OUR fault because we aren’t showing them the kind of word we want to create! When choosing website images, less is more. Clients won’t look through 80 images in a gallery. They’re will click through the first 10-20, so be extremely selective! Your best work should be at the very front: on your home page and in the first 5 images of your galleries. Unsure if you’re on the right track when it comes to images in your website gallery? 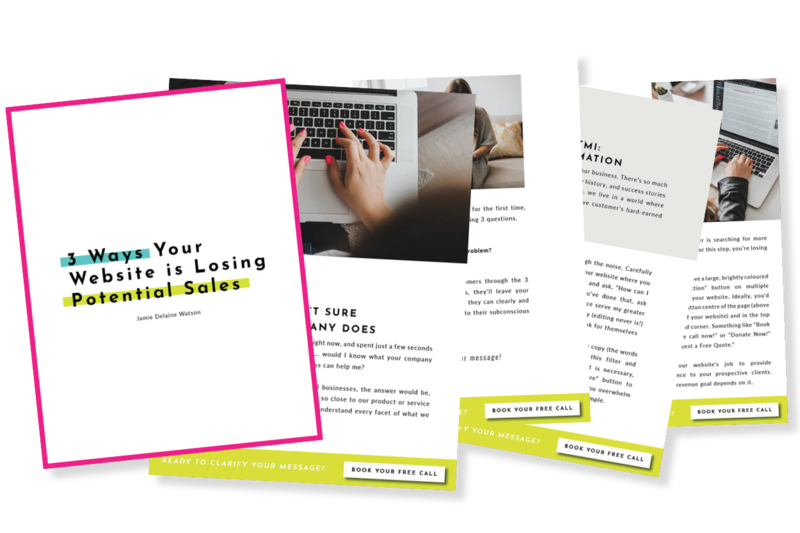 Grab my gallery audit freebie! Work through this checklist 1-2x a season as you updated your website. Includes a list of criteria to make sure your website is attracting the right kinds of client. Thanks for being here again this week! I’m SO excited to be bringing you something incredible next week… hang on tight, it’s gonna be good!